David Bird started life in rural Norfolk where he was educated at King Edward VI School in Norwich, the same school as Admiral Lord Nelson. In the Sixth Form he had to decide between music and chemistry, but chose the latter with no subsequent regrets, as music has always been his great solace. Life in industry began in the quality control laboratories of Colmans of Norwich, analysing orange squash, baby foods and mustard. Rising to the head of the analytical laboratory, he was offered the position of QC Manager Wine in 1973 when Colmans branched out into the wine trade. This was the turning point in his life, as he showed a great love of wine (and food) and his hobby became all-consuming. Qualifications were gained each year, culminating in 1981 with the title of Master of Wine and also, incidentally, with the granting of the status of Chartered Chemist. This resulted in being head-hunted in 1984 for Stowells of Chelsea as QA Manager of their wine box installation at Worksop in Nottinghamshire. Life developed well as the wine box business expanded. His communication abilities were recognised, being put to use lecturing for the Wine & Spirit Education Trust all around Britain for the winemaking and technical section of the Diploma syllabus. In 1994 the company was taken over by Mathers of Leeds and the whole wine boxing business was moved to Leeds. At this moment David was encouraged to set up his own business, advice which proved to be absolutely right. So, David Bird Quality Assurance, or DBQA, was born on September 2nd 1994, celebrated with a bottle of champagne in the heart of a French forest near the Mediterranean coast. DBQA began by offering a quality assurance service to industry in the form of consultancy for the installation of ISO 9000, specialising, but not confined to, the drinks industry. This developed into the quality auditing of wineries across Europe on behalf of retailers in Britain who needed to show due diligence in accord with the Food Safety Act of 1991. The lecturing side of the business also developed and now extends to other countries in Europe. 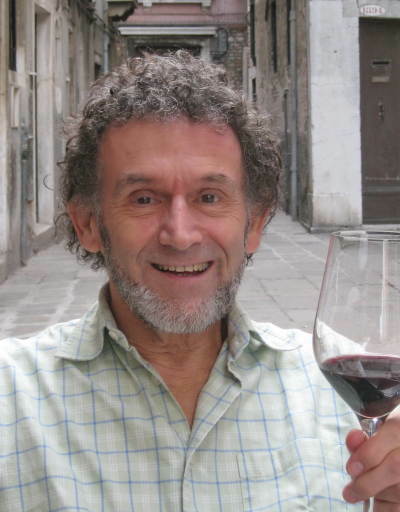 In 2000, he published his first book Understanding Wine Technology The Science of Wine Explained. This has been a great success, as it is the only book that explains the complex science of wine production in simple, non-technical language. Having gone through three print runs, a new edition was published in 2005 which expands on all of the previous subjects and has brought in the latest technological techniques. It has become required reading for the Diploma examination of the WSET.